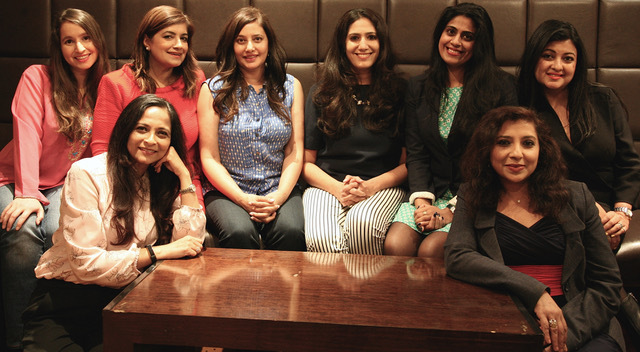 This photograph by Jags Parbha is of The Whole Kahani: Reshma Ruja, Kavita A. Jindal (co-founders), Mona Dash, Radhika Kapur, CG Menon, Shibani Lal, Deblina Chakrabarty and Nadia Kabir Barb. In ‘Natural Accents’ by Mona Dash the protagonist is a successful woman with a family and a career who feels the only way she will be fully accepted into English life, given the promotions and social standing she deserves, is to speak English using received pronunciation. When she has the opportunity to buy this accent the possibility that she might lose something as well as gain something, doesn’t even cross her mind. Straddling two cultures is something most of the characters face, even when they aren’t facing the difficulty of living in another country. Kavita A. Jindal’s story ‘Where he lives’ requires a new bride to face the restrictions of living in the old city, where women must cover themselves fully and behave with extreme modesty. But identity isn’t one-sided. She sees a policewoman moving in and out of the city and wonders if she too can pass between these two ways of living successfully. 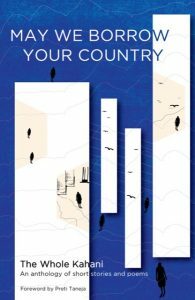 Of course the stories are about more than cultural identity, they are about falling in love, missed opportunities and living with disappointment. They are about family relationships – the heroine of Radhika Kapur’s story ‘The Metallic Mini Skirt’ is horrified by the idea of becoming her mother-in-law; ‘The Enlightenment of Rahim Baksh’ by Nadia Kabir Barb explores desire in long-term relationships and how easy it is to misunderstand what we have, to be prepared to risk all based on the presumed affections of others. Though the character in CG Menon‘s story ‘Fox Cub’ is frustrated that Dickens never mentioned foxes, the thrust of the story is really about coming to terms with his wife’s miscarriages, that family life, parenthood in particular, might always require compromise and enduring loss. Just as Deblina Chakrabarty’s ‘The Inventory’ is about dividing a dead parent’s belongings between sister’s whose relationship has been strained by the distance of different countries, it also explores the many lies hidden within families of all backgrounds regardless of the mileage between them. So while these stories might suggest a readership because of their authorship, the collection is exactly about fighting against such easy assumptions. 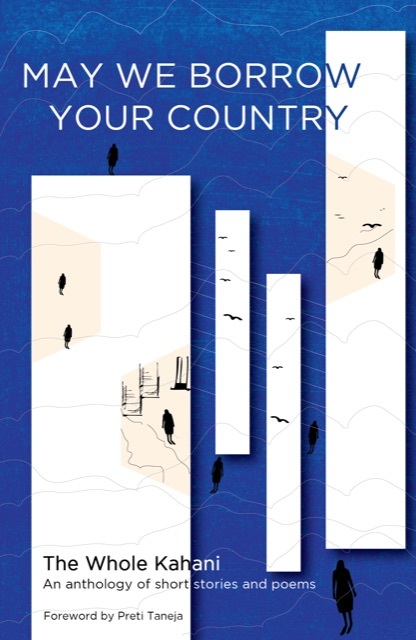 The title itself is a direct request for attention from those who feel entitled and unquestioning in their Britishness (mostly, of course, white people). These stories are part of the whole story and as such essential reading for everyone. I feel unqualified to discuss the poetry, and am sure someone with more knowledge of the cadence and weight of words will review those more eloquently, but the stories dazzle with a sensitive brilliance. I really enjoyed The Whole Kahani’s first collection, Love Across A Broken Map, and this is a fantastic sequel that somehow cuts deeper. A wonderful read.